Soup supper and guest speaker series at 6 p.m. every Wednesday during Lent. The Youth Ministry has planned several exciting events to help support the June mission trip to Chicago. Loved by God. Known by name. Register for our Sunday School, a place for children to belong. Come and explore our campus. Our mission is, by the power of the Holy Spirit, to nurture people of all ages in the knowledge and love of God in Jesus Christ, and to make Him known in the wider community. Roughly 85 million Christians worldwide in 45 autonomous regional Churches. Roughly 1.8 million Christians in the U.S. and 16 other nations. 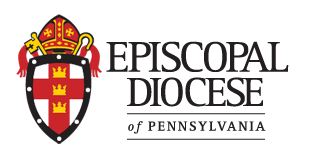 132 congregations in the five-county Philadelphia region.